In the framework of “Golden Apricot” Yerevan International Film Festival annual (third) Dolma Festival will take place, thus giving an opportunity to once again represent our Armenian rich cuisine and culture to more than 50-60 guests of the Film Festival. Dolma is one of the most delicious and popular Armenian traditional dishes and includes the cooking techniques of the Armenian people. The first Armenian national dolma was made in Sardarapat about 3,000 years ago. Primarily it was made with grape leaves and was called “udul” from Urartian word udul which means leaf of grape. Armenian women usually spend a long time on making dolma. 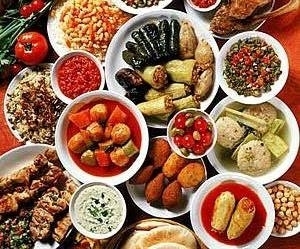 On July 10th Armenians will be exhibiting 60 types of dolma in Sardarapat, which was the scene of a 1918 battle that stopped the Turkish onslaught and led to the establishment of the first democratic Armenian republic. The objective of organizing such festival is to introduce to wider mass the Armenian traditional cuisine and particularly dolma as a truly Armenian dish. Apart from the traditional dolma that is made of grape or cabbage leaves and vegetables, one can also find different dolma with crow fish, fish chicken, as well as sweet dolma. Make sure to taste amazing Armenian dolma. What about eating Dolma in Armenia, ayu? You look like just promoting your hotels here.